Classical singer Alfie Boe has announced a 2019 tour in March and April next year, kicking off on 18th March at St David's Hall in Cardiff and coming to a close at London's Royal Albert Hall on 17th April. 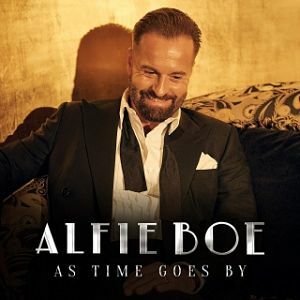 Last month, Alfie revealed his return to the solo spotlight with the release of his classic album As Time Goes By on 23rd November celebrating the golden era of music from the 30s and 40s. Alfie is a hugely successful, multi-platinum selling artist with two recent UK #1 albums under his belt for albums 'Together' and 'Together Again', made with Michael Ball. The duo also won two Classic BRIT Awards earlier this year for 'Best Album' and 'Group of the Year'. Alfie said: "I'm excited to get back on the road, especially with a new record that I'm so proud of. These songs are at their best when performed live! "We'll be enjoying some of great songs from my previous records, but I more than anything want to bring back to life an era when British audiences discovered a brand new kind of American music, full of energy, optimism and romance. I'd like to transport people to a time in their lives, a moment or even a style. I hope you all enjoy being transported there as much as I do!" Tickets for the dates below are now on general sale.